Today launches a new series…..Threads. During Threads, we’re going to dissect how the gospel is woven into the fabric of our lives and how we can interlock ourselves in the mission of the gospel and use it to influence our sphere. We’re taking a break from out study of Matthew to delve into this series. Today’s introductory message is taken from John 5:16-29, providing an overview of what we’ll talk about and where we should direct our focus during the next six weeks. Drawing today, I ran with a reference from a college textiles class to bring in the Threads idea. This image is a weaving loom with a tapestry in progress. You can see the word ‘life’ beginning to appear in the weaving. Having not used one of these in twelve years, I hope you’ll forgive me for my engineering being a bit off! It would have be awesome to have one of these on stage with someone weaving during each service of this series! Alas, we don’t have a weaving loom or the space to set one up (yet). The image on the left is a shuttlecock. 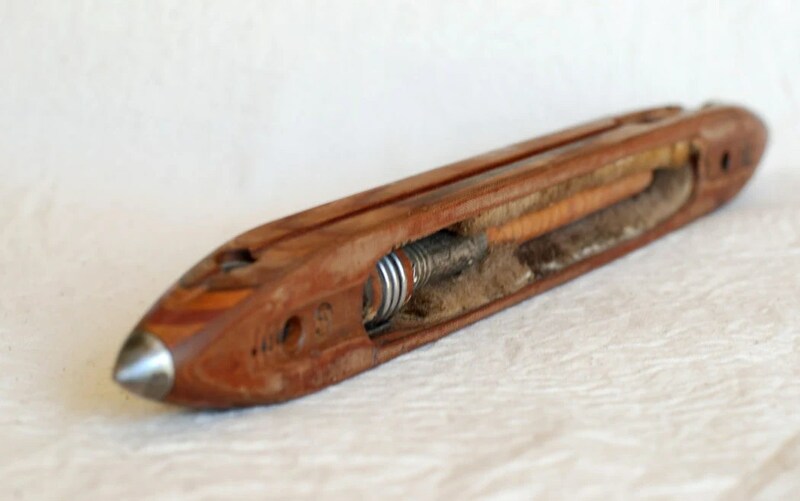 This tool is used to hold each spool of thread as it is woven side to side along the tapestry. I show six shuttlecocks in today’s drawing, each assigned a characteristic we will take a closer look at using to adopt and apply the gospel in our lives. Be aware. God is already at work in the lives of people around you. Be active. God desires to include you in His work. Be alert. Look and listen for evidence of God at work. Be available. Sacrifice your agenda each day to join God wherever and however He is working. Be amazed. Remember that God has involved you in His work not because He needs you, but because He loves you. Be assured. God’s work in and through your life will bear fruit that will last forever. The next six weeks will be exciting! I’m looking forward to watching the tapestry that is our lives come together!